Early Daylight Satellite Image Shows Depression Intensify Into Tropical Storm Celia Tropical Depression 4E strengthened into a tropical storm as NOAA's GOES-West satellite captured an early daylight image of the storm. Celia continues to strengthen slowly and remains a Category 1 hurricane. Deep thunderstorm activity continues to wrap around the center, with more intense activity beginning to develop on the eastern edge of the center. Celia will remain over warmer water and continue a general westward track over the next day before it takes a turn to the northwest. Celia will continue to experience very low wind shear and will continue to strengthen over the next day, becoming very close to a major hurricane. Once Celia turns northwest into cooler waters, it will slowly weaken Accu weather. 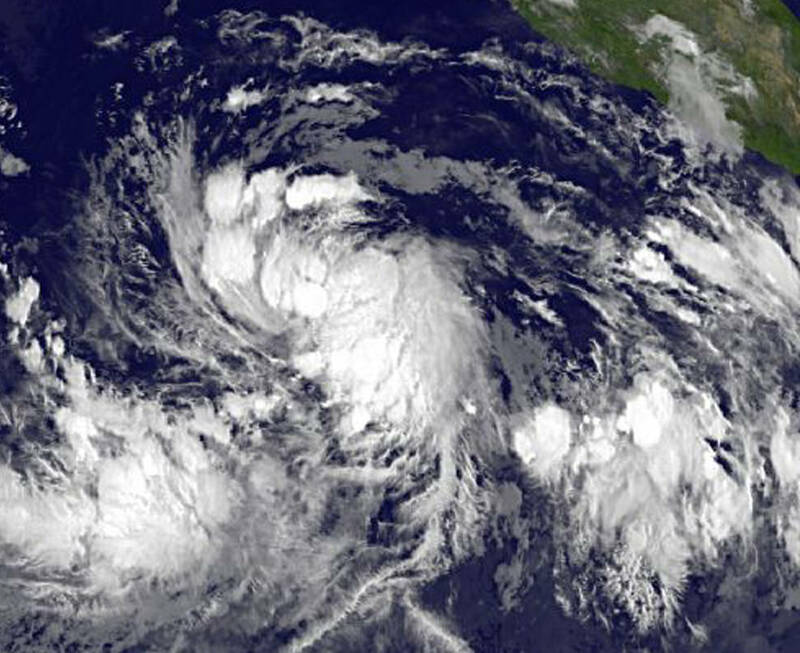 The National Hurricane Center is issuing advisories on Hurricane Celia, located more than 1000 miles west-southwest of the southern tip of the Baja California peninsula. Satellite images indicate that the area of low pressure located about 350 miles south-southwest of Manzanillo, Mexico, has become better defined this morning. Associated shower and thunderstorm activity is showing some signs of organization, and a tropical depression is likely to form during the next day or two while the low moves west-northwestward at about 10 mph, away from the coast of Mexico.